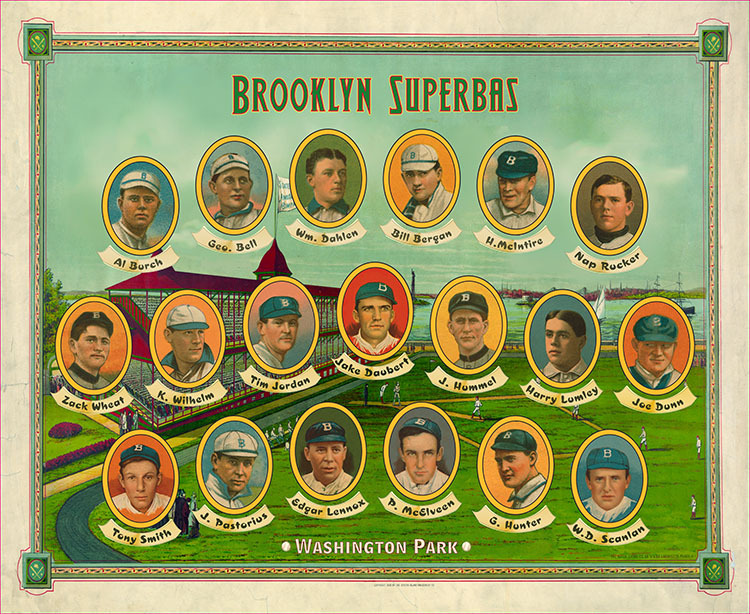 Team Display Introduction: Brooklyn Superbas! The links will take you directly to the eBay auction (from another seller). Seller supplied details underneath photos. Or call Greg at +1.703.888.8311 if you are interested in a complete set. *Remember, to receive a 10% discount through eBay or by direct call use the secret code “Cobb“. Doing the Brooklyn team display was a great time. 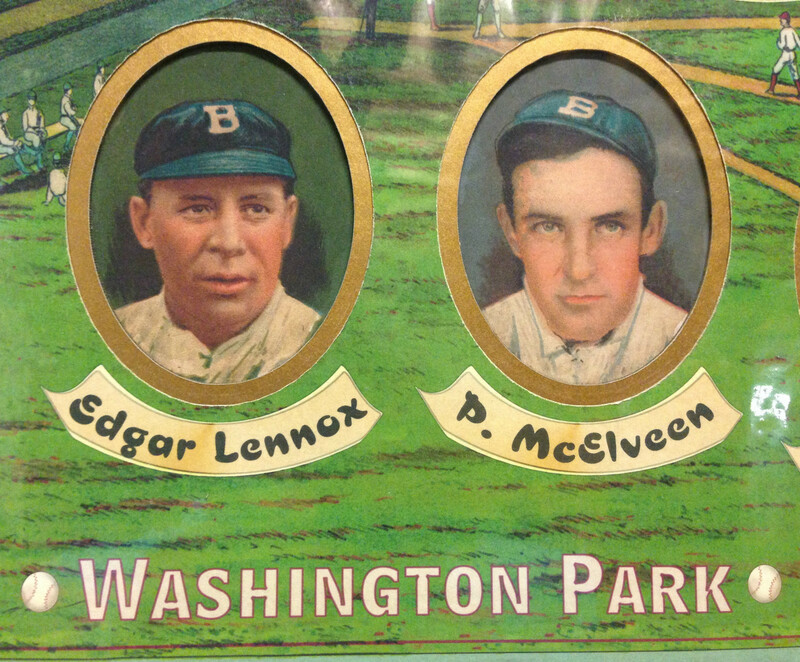 The background was taken from a late 19th century poster and made a perfect backdrop for the player portraits. Everyone loves the old Brooklyn uniforms and we have two different versions appearing. Plus, this display has some of my favorite players-Zack Wheat, Nap Rucker, Edgar Lennox and Wild Bill Dahlen.